Taspınar: Taspınar is a small town in the carpet weaving areas of Aksaray. Taspınar produces excellent carpets of a thick pile, knotted in high quality wool. They have a predominantly blue and red field enlivened by delicate motifs in lighter shades. The yarn is dyed with natural vegetable dyes by the Caucasian methods. 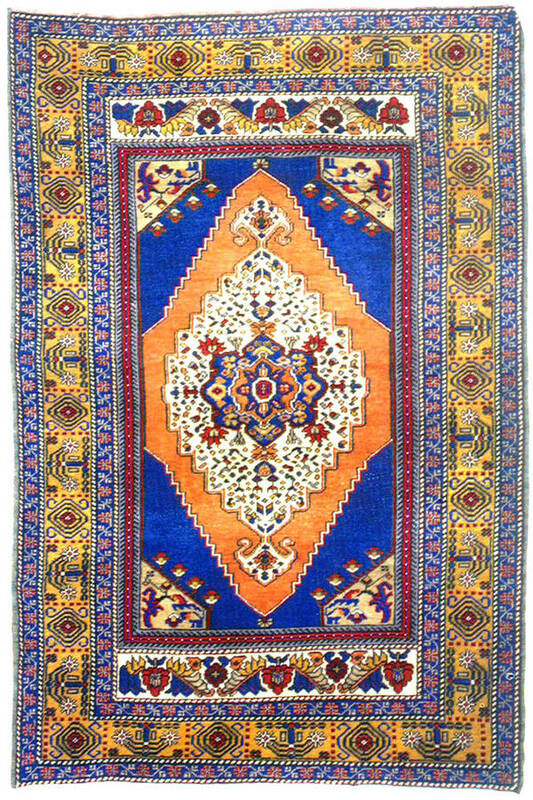 In the old Taspınar carpets the Persian influence can be seen in which are plant figures and geometric designs are used simultaneously. However, the rich colours and beautifully proportioned somewhat formal design prevent this unusual mixture from displeasing the eye. New Taspınars are made in the same rich colours as old ones, but the designs are becoming more varied. They are woven with 100% pure wool yarn. The dominant colours are red and navy blue.